Achieve world class edging without sacrificing grip! The shockingly lightweight Radar Halofeatures our innovative, signature H-shaped hub. The inner and outer edges of the hub are oversized, which reduces the amount of urethane on the edges of the wheel. This makes it easy to perform stops and offers excellent response. 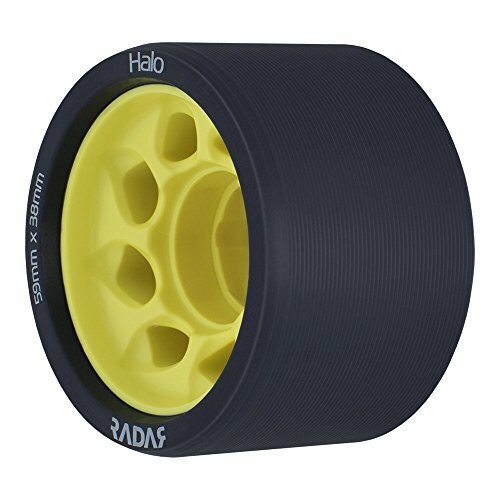 The middle of the hub has room for more urethane, which offers grip, increases control, and improves ride. The Halo is sold in packs of four wheels. For a full set of wheels, be sure to select a quanity of two.